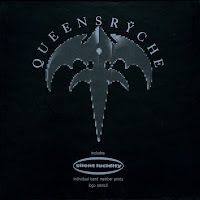 'Silent lucidity' is a single by the American hardrock band Queensrÿche. It was released as the fifth single from their 1990 album 'Empire'. The track is an epic piece incorporating an orchestra and a compelling melody. Only hardrock bands are able to make ballads like this. The single peaked at number 9 in the US Billboard Hot 100 and number 27 in the Dutch top 40. In the UK it did not chart, but when it was re-relased in 1992, it made number 18. The original release of the single in the UK was supported by a single box set including five individual band member prints and two cutout cartons of the band logo.